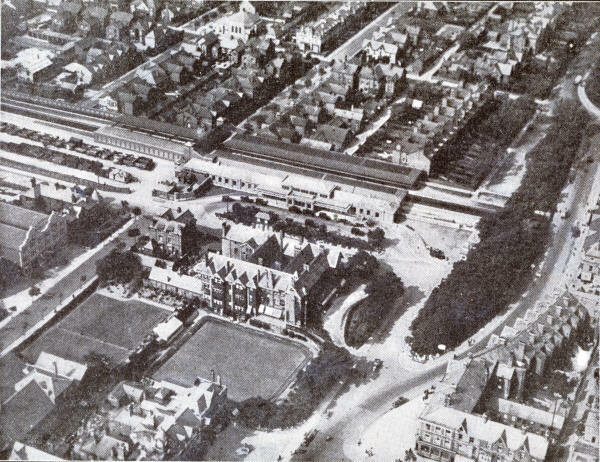 An aerial view of St.Annes Railway Station (1925-85) in 1927 with the goods yard to the left. To the right is the Crescent and in the centre, the St.Annes Hotel, Bowling Green & Boots Chemist. On the left is Aked's Garage. To the top of the photo is St.David's Road North and the Christian Science Church.